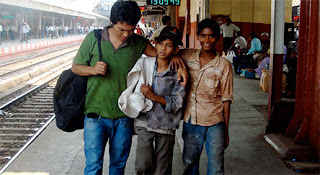 The most extensive railway system in the world is in India. The roads connecting the major cities and trade centers are jammed with traffic — not a good option for commerce — and flying is for the wealthy, so what makes the most sense for India — again, in terms of commerce — is its vast network of rail lines. Almost 40,000 miles of track and nearly 7,000 stations make it all work. A time-honored pattern to how things are done; done correctly! So when we see Warner Home Video peppering its release schedule with TV series, kidvid and film vault treasures you can be sure that the summer-season theatrical blockbusters will be getting street dates of their own in short order. 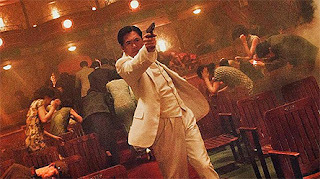 With Man of Steel, Hangover III, Pacific Rim and The Conjuring all at various stages of their theatrical runs it is only a matter of time before the studio begins to move them into the home entertainment market place (all post-Labor Day). The key to doing it correctly is to move the lesser titles into place first and then drop the big boys in afterwards … you don’t crush your own releases by doing that way. 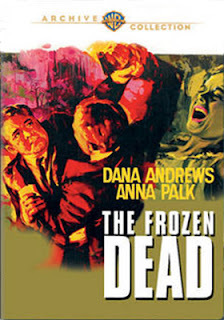 New announcement activity this past week from Warner Home Video — in chronological release order — begins with a pair of theatrical catalog DVD debuts on Aug. 13, The Frozen Dead and Tormented. Tormented is a 1960 release from cult filmmaker Burt I. Gordon (Earth vs. the Spider, War of the Colossal Beast, The Amazing Colossal Man, etc.) 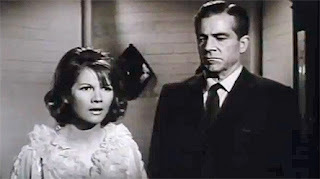 which teams Richard Carlson with Juli Reding — she is a vengeful spirit who haunts Carlson when he caused her death by his deliberate inaction! The action then shifts to Oct. 8 with Blu-ray SKUs for both Batman: The Dark Knight Returns - Deluxe Edition and Robot Chicken: Season Six (both double-disc sets) and DVD editions of Adventure Time: Jake vs. Me-Mow, Scooby-Doo! Mystery Incorporated: Season One (a four-disc collection) and Super Friends! : Legacy of Super Powers. 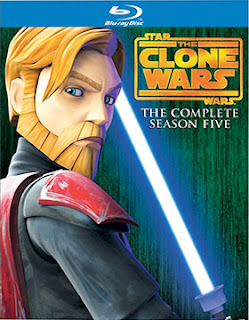 The following week, Oct. 15, we get both DVD and Blu-ray editions of Star Wars: The Clone Wars - Season Five (four and three disc sets respectively), a five-disc DVD collection of Hart of Dixie: The Complete Second Season and the little blue guys will be back with new adventures in Smurfs: Smurftastic Journey. Already in place on Oct. 22 are DVD and Blu-ray versions of Nikita: The Complete Third Season, but this week Warner Home Video has added a rare Friday (Oct. 25) DVD and Blu-ray product offering, the documentary feature film, Necessary Evil: Villains of DC Comics. This last release announcement seems to suggest — and we are only speculating here — that perhaps a DC Comics’ superhero feature film release might also be destined for this release window. Just saying. Breaking Glass Pictures will bring DVD and Blu-ray edition of Canadian filmmaker Xavier Dolan’s award-winning romantic drama, Laurence Anyways, to the domestic market place on Oct. 1. 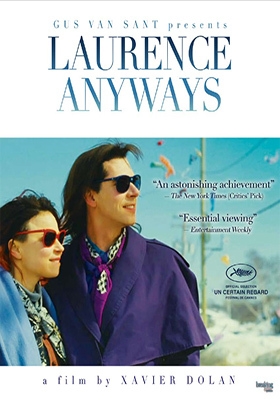 The story of the relationship between Laurence (Melvil Poupaud — Time to Leave, Broken English, 44 Inch Chest, etc.) and Frederique (Suzanne Clement — L'Audition, It's Not Me, I Swear!) spans a ten-year period that begins in the late ‘80s and has more emotional ups, downs and twists than a five star rollercoaster. Two years into their relationship, Laurence — a high school teacher and soon-to-be-published author — announces to his fiancé that he feels that life going forward for him should be as a woman. He’s always felt that way and it has taken him some time to work up the emotional courage to announce his decision. Transformation at school does not go well, even though the students in his class prove to be accepting … the faculty and administration, less so. 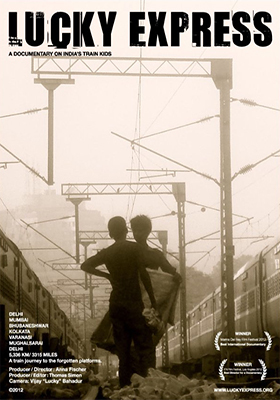 Depressed, out of work, he eventually drives “Fred” (Frederique) away … but she remains deeply in love with him as events unfold and future relationships are pushed to the breaking point. It was a seemingly normal day at the MGM/UA Home Video headquarters in Culver City when Suds, my assistant, buzzed in to say that a special guest had just arrived … not just any special guest, but a Hollywood star. “June Allison?” I asked. “No, shorter,” smiled Suds. And then suddenly standing there in the doorway to my office was none other than the star of United Artists’ recent theatrical hit Child’s Play. It was none other than Chucky himself. 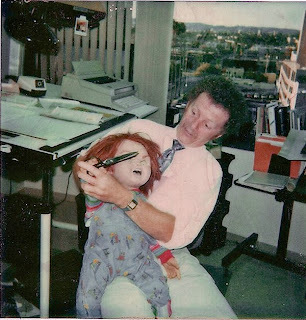 Now the only reason I bring this Spring of 1989 encounter with Chucky up is that Universal Studios Home Entertainment announced this past week that his last film outing, Curse of Chucky, will be heading to DVD and Blu-ray/DVD Combo Pack (with UltraViolet) on Oct. 8. Let’s get a few things out in the open. 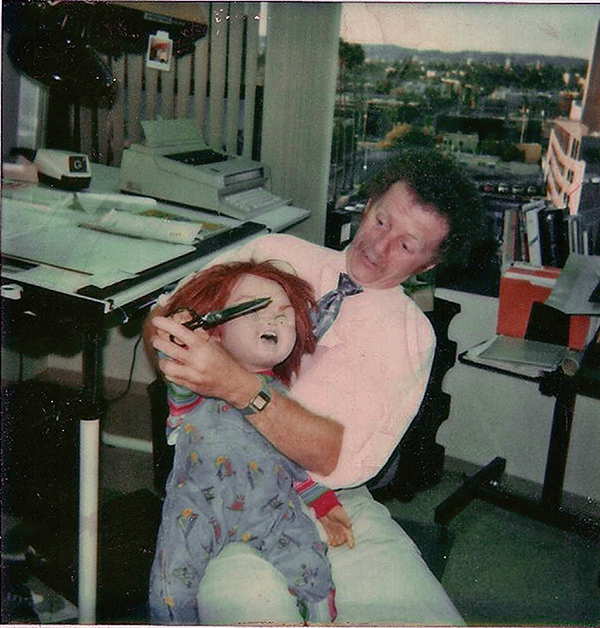 First, Chucky is real; a little person — I signed a non-disclosure agreement back then that I honor to this day not to reveal his real name. I can tell you this much, he has a child-like voice, so producer David Kirschner and screenwriter Don Mancini recruited Brad Dourif to provide a more sinister tone to the character — it was a masterstroke; genius. So you’ve learned that Chucky is a real actor (not some mechanical thingamajig or CGI), has a child-like voice (hence the need for Dourif) and one other thing. He has a temper! 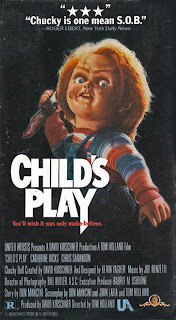 On this particular day he had stopped by Filmland in Culver City to approve the packaging for the April of 1989 VHS launch of Child’s Play (had a clause in his contract that gave him artwork approval … what a pain that is when the talent has artwork approval). The conversation was pleasant at first. A little chit-chat as we walked down to creative services to review the selections. But once Chucky saw the choices he blew his top, grabbed a pair of scissors and attacked me. “Not scary enough,” he kept screaming! Eventually we calmed him down, made the packaging more menacing (see the final VHS sleeve) and he went on his merry way. 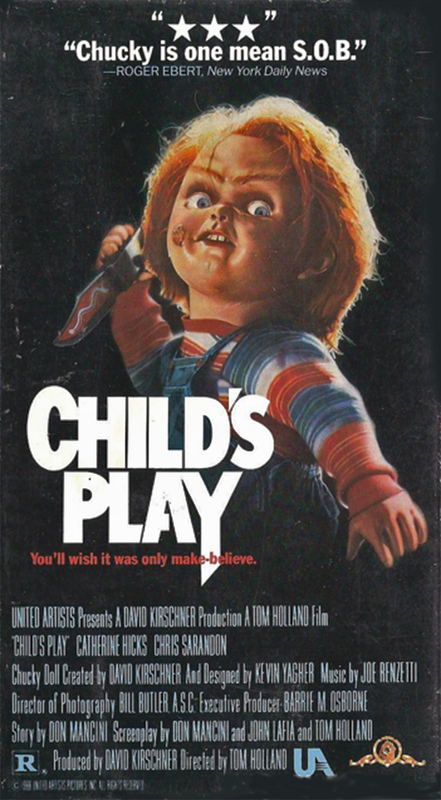 It’s now the 25th anniversary of the original Child’s Play theatrical launch and Universal has the sixth installment in this venerable horror franchise ready for fans to enjoy. 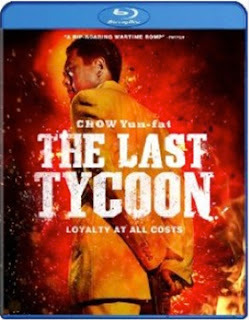 How this film franchise ended up at Universal is a story for another day, but let’s just say it had to do with an Australian conman, a clueless Hollywood mogul and a little something called a force majeure. Exclusive to the Blu-ray SKU are two additional featurettes. 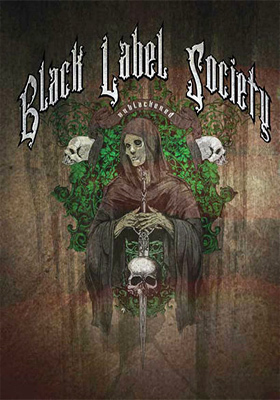 Eagle Rock Entertainment has ticketed Blu-ray and DVD editions of Black Label Society: Unblackened for delivery to retail on Sep. 24. The weight of being “perfect” is about to catch up with thirty-something Vanessa (Kelly Hu — White Frog, Vampire Diaries, Army Wives, etc.) and crush her like a bug in writer/director Bertha Bay-Sa Pan’s delightful romantic comedy, Almost Perfect … due out on DVD this coming Oct. 22 from Virgil Films & Entertainment. Imagine waking up one day and looking in the mirror and not really recognizing the person staring back at you. That’s pretty much where Vanessa finds herself these days. 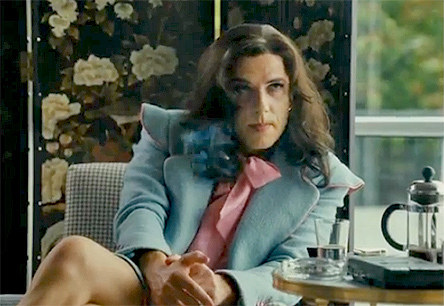 She’s been living in an echo chamber of familial adulation — you’re amazing, you’re perfect, you’re wonderful. Everyone suddenly turns to her for solutions when her high-strung sister, Charlene (Christina Chang), starts to come unwound, her slacker brother, Andy (Edison Chen), ends up on her couch and a parental crisis blows up after her do-this, do-that mom tosses dad out of the house. Each one would be manageable (oh god, I’m not becoming my mom, am I? 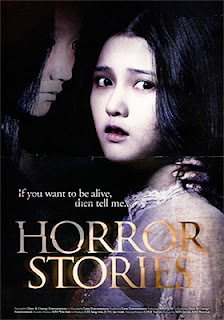 ), if it weren’t for a friend from her past suddenly entering her life — Dwayne (Ivan Shaw). Things begin to click between them and it is then, and only then, that the load gets too heavy and the “who-am-I” crisis really kicks in and the fun begins (for the audience that is, not for poor Vanessa)! Vanessa, hint: just be yourself, it will all work out! 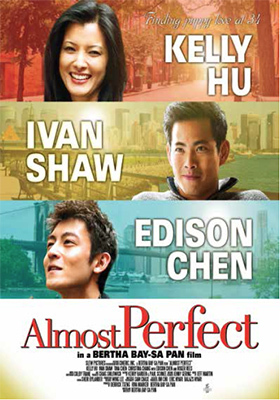 Almost Perfect is well-written, keenly observed and the ensemble cast is outstanding. It was a relatively quite announce week for Paramount Home Media. Perhaps, just perhaps, the calm before the storm? On the new-to-DVD release front there is the Oct. 15 four-disc debut of Gentle Ben: The Complete First Season. This family-themed series ran for two seasons — 1967/68 and 1968/69 — and was based on Walt Morey’s best-selling novel of the same name. 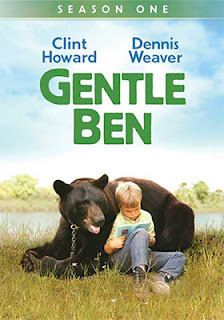 Gentle Ben starred Clint Howard, Dennis Weaver and the title character, a full-grown black bear … their adventures (28 episodes during this first season) took place in the Florida Everglades. Also streeting on Oct. 15 are Blu-ray editions of The Honeymooners: Classic 39 Episodes (a six-disc collection). It took awhile, but the hi-def edition features the entire 1955/56 run of the show, plus "The Honeymooners Anniversary Special." Also on Oct. 15 look for Spongebob Squarepants: It’s a Spongebob Squarepants Christmas … this is being released as a Blu-ray/DVD Combo Pack.